Meghan Trainor hits the studio with Tobias Jesso Jr.
American singer/songwriter Meghan Trainor has teamed up with fellow recording artist Tobias Jesso Jr. for an upcoming project. The Canadian musician’s resume boasts additional songwriting/production works with Sia (“Alive”), Niall Horan (“Slow Hands”), Adele (“When We Were Young”), John Legend (“Marching Into the Dark”), Liv Dawson (“Last Time”), Shawn Mendes (“Roses”) and Jarryd James (“How Do We Make It”). Meanwhile, Trainor is expected to release her third studio collection and follow-up to 2016’s “Thank You” early next year via Epic Records. The still-untitled collection reportedly boasts additional alliances with Jacob “JKash” Kasher (Charlie Puth, Selena Gomez), Gamal “LunchMoney” Lewis (Zara Larsson, Jason Derulo), Tyler Johnson (Cam, Sam Smith) and Sophie “Frances” Cooke (Ella Henderson, Jess Glynne). Watch the music video for “How Could You Babe” below. British singer/songwriter Rita Ora has drafted James Napier, professionally known as Jimmy Napes, for her upcoming sophomore album. The Grammy award-winning record producer and songwriter is known for his works with Sam Smith (“I’m Not the Only One”), Disclosure (“Latch”), Alicia Keys (“Hallelujah”), Mary J. Blige (“Nobody But You”), Clean Bandit (“Rather Be”), Jessie Ware (“Pieces”), Liv Dawson (“Searching”), Ellie Goulding (“Heal”), Lapsley (“Hurt Me”), Javeon (“Intoxicated”), Ria Ritchie (“In My Blood”), Lianne La Havas (“Wonderful”) and Gorgon City (“Unmissable”). Napes’ extensive resume boasts additional works with fellow musicians including Richard “Biff” Stannard, Bradford Ellis, Felix Joseph, William “Tourist” Phillips, Noonie Bao, Toby Gad, Diplo, Rodney Jerkins, Francis “Eg” White, Matt Prime, James Draper, Youthonix, Naughty Boy, Mojam Music, Jonny Coffer, Julio Bashmore, Tobias Jesso Jr., MoZella, Craze & Hoax, MNEK, Philip Plested, Fraser T. Smith, Emile Haynie, Levi Lennox, James Ford, and Sampha. Meanwhile, Ora is scheduled to release her second studio collection – featuring lead single “Your Song” as well as “Him & Me,” “Girls,” “Falling to Pieces” and “Velvet Rope” – later this year via Atlantic Records. In addition to confirmed collaborators Ed Sheeran, Steve Mac, Ali Tamposi, Andrew Watt and Sam Romans, the follow-up to 2012’s “ORA” reportedly delivers further alliances with Digital Farm Animals, RAYE, Jake Gosling, Ammar Malik, Stargate, Eyelar, Leon Thomas, Diana Gordon, Max McElligott, Chelcee Grimes, Jason “Poo Bear” Boyd, Meghan Trainor, Dallas K, and Jin Jin. Stream the following the playlist dedicated to Jimmy Napes’ work! Little Mix have liberated their fourth album online. “Glory Days” – featuring “Shout Out to My Ex,” “Nobody Like You,” “You Gotta Not,” “Down & Dirty” and “Touch” – is now available via iTunes, Apple Music, Amazon, Google Play, Tidal and all other digital streaming platforms. Amongst the producers backing Little Mix on the follow-up to 2015’s “Get Weird” are Electric, Kuya, Charlie Puth, Johan Carlsson, DJ Freedo, MNEK, Robopop, Matt Rad, Steve Robson, Tammy Baxter, Adam Midgley, JMIKE, Cutfather, Peter Wallevik, and Daniel Davidsen. Album songwriters include Maegan Cottone, Iain James, Camille Purcell, JHart, Shungudzo Kuyimba, Philip Plested, Meghan Trainor, Ross Golan, Emily Warren, Alex Purple, Tash Phillips, Youthonix, Alessia Iorio, Jean Baptiste Kouame, Wayne Hector, Mike Caren, Jacob Luttrell, and Sam Romans. Listen to “Glory Days” in its entirety below. Little Mix have unleashed a new promotional single online. “F.U.” is now available for download via iTunes, Apple Music, Amazon, Google Play, Tidal and all other digital streaming platforms. The track was co-written by Maegan Cottone (Fleur East, Imani Williams), Jean Baptiste Kouame (RAYE, Mabel McVey) and Michael McHenry (AlunaGeorge, Liam Payne). As mentioned in earlier posts, Little Mix’s fourth studio collection “Glory Days” – featuring lead single “Shout Out to My Ex” – will arrive on November 18 via Syco Music (UK) and Columbia Records (US). The follow-up to 2015’s “Get Weird” delivers further productions from Electric, Johan Carlsson, Digital Farm Animals, MNEK, DJ Freedo, and Ryan Lewis. On the songwriting front, Little Mix have teamed up with Meghan Trainor, Emily Warren, Ross Golan, Alexander “Alex Purple” Krounlund, Camille Purcell, Iain James, James “JHart” Abrahart, and Sam Romans. Listen to the audio clip for “F.U.” below. Little Mix have shared a new promotional single online. “You Gotta Not” is now available via iTunes, Apple Music, Amazon, Google Play, Tidal and all other digital streaming platforms. The track was written by Meghan Trainor alongside Ross Golan (Selena Gomez, Ella Eyre) and Alexander “Alex Purple” Kronlund (Tinashe, Britney Spears). Production duties on “You Gotta Not” were handled by Johan Carlsson, whose other credits include Michael Buble (“Nobody But Me”), Demi Lovato (“For You”) and Ariana Grande (“Just a Little Bit of Your Heart”). As mentioned in earlier posts, Little Mix’s fourth studio collection “Glory Days” – featuring previous single “Shout Out to My Ex” – will arrive on November 18 via Syco Music (UK) and Columbia Records (US). 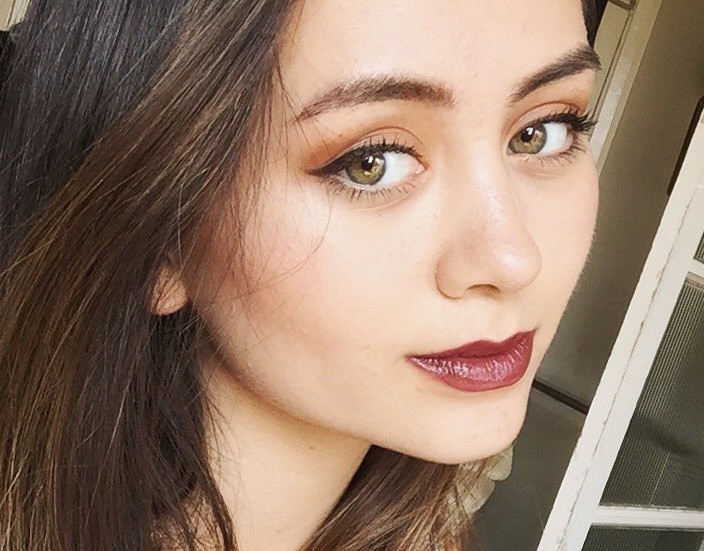 Other album songwriters include Camille Purcell, Iain James, Maegan Cottone, Sam Romans, Jin Jin, Emily Warren, JHart, and Charlie Puth. On the production front, Little Mix have also teamed up with Electric, Cutfather, Daniel Davidsen, Peter Wallevik, Mark J. Fiest, DJ Freedo, Free School, MNEK, Digital Farms Animals, and Ryan Lewis. Listen to the audio clip for “You Gotta Not” below. 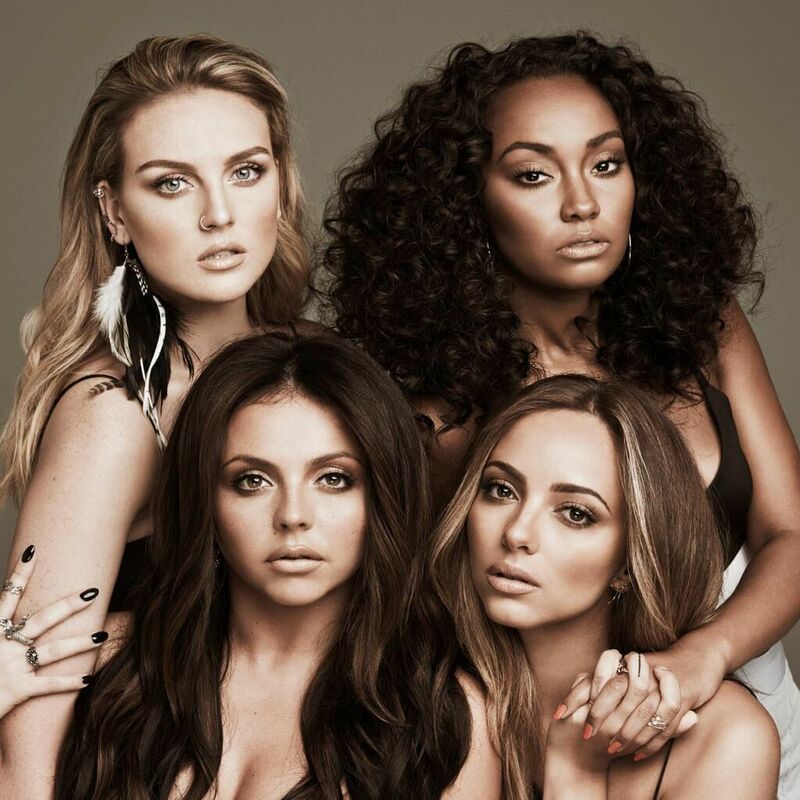 Little Mix have unwrapped the tracklisting for their upcoming album. 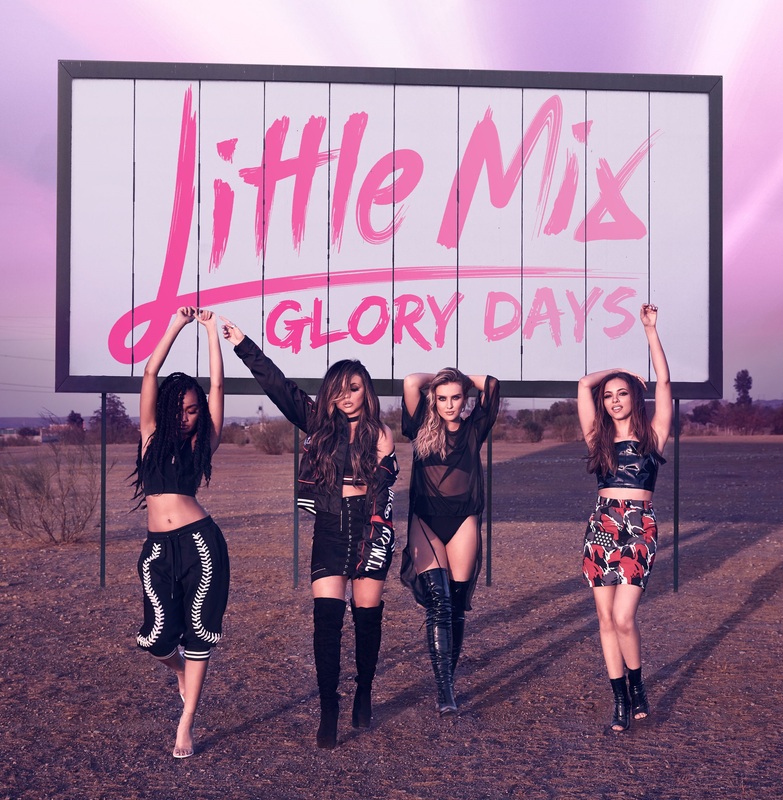 The British girl group will release “Glory Days” on November 18 via Syco Music (UK) and Columbia Records (US). Lead single “Shout Out to My Ex” was Camille Purcell and Iain James alongside Henrik Michelsen and Edvard Erfjord of Norwegian production duo Electric. Other songwriters backing Little Mix on the follow-up to 2015’s “Get Weird” are Maegan Cottone, Sam Romans, Janee “Jin Jin” Bennett, Emily Warren, James “JHart” Abrahart, Meghan Trainor, and Charlie Puth. On the production front, Little Mix have also teamed up with Cutfather, Daniel Davidsen, Peter Wallevik, Mark J. Fiest, DJ Freedo, Free School, MNEK, Digital Farms Animals, and Ryan Lewis. Peep the tracklisting for “Glory Days” below.